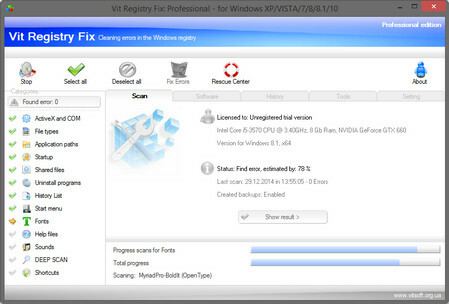 Vit Registry Fix application was designed to be a powerful program for cleaning the registry of errors and outdated data. The program has a powerful tool for automatic scanning and removal of many different types of errors. Vit Registry Fix can find more than 50 varieties of options for errors in the registry. Fixed several bugs (including at the request of users).